The Super 8 Motel Peru, Illinois is conveniently located off I-80, Exit 75. The motel is located near Ottawa, Streator, Mendota and LaSalle, Illinois. 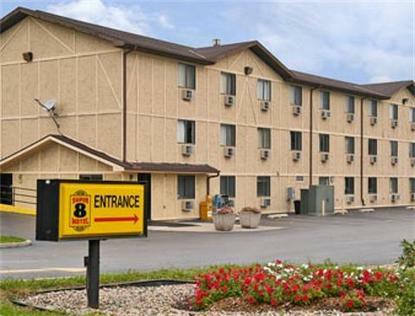 The Super 8 Motel Peru, Illinois is just minutes away from Starved Rock State Park. The Super 8 Motel Peru, Illinois is near Buffalo Rock State Park. Other attractions in the area include Peru Mall, Crafter's Village, Reddick Mansion, Illinois Valley Superbowl Comedy Nights, Hegeler Carus Mansion, NASCAR Racing and Matthiessen State Park. The Super 8 Motel Peru, Illinois features Free High Speed Wireless Internet, Guest Laundry, Large RV/Truck/Bus Parking and Superstart Breakfast.